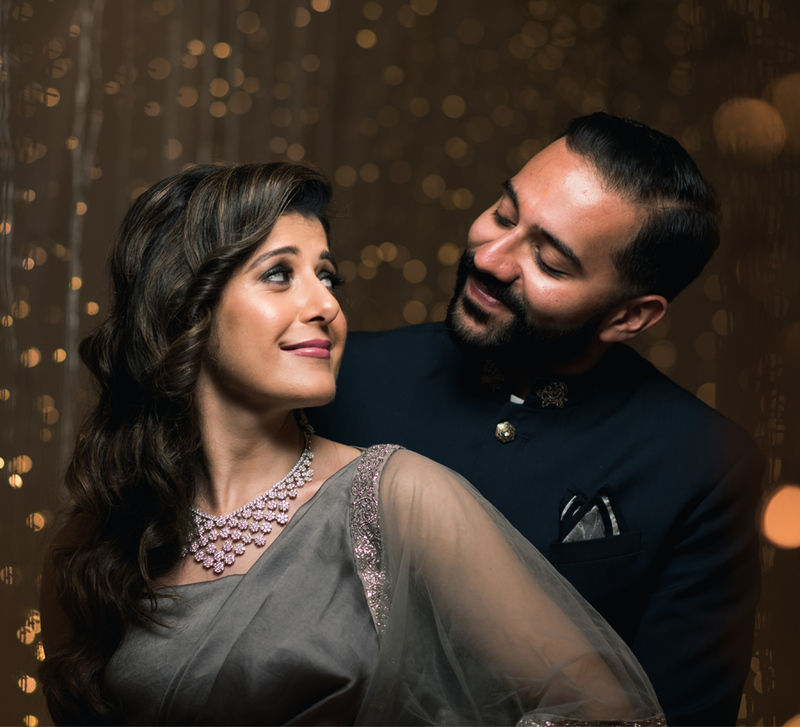 From a ‘Circus of Love’ and ‘A Casablanca Affair’, to an ‘Enchanted Winter Forest’, this wedding unfolded a series of stories! Sonam and Kunal’s love story begins with a wedding. Maybe they guessed, as they matched each other step for step, dancing into the sunrise, that they’d found ‘The One’. 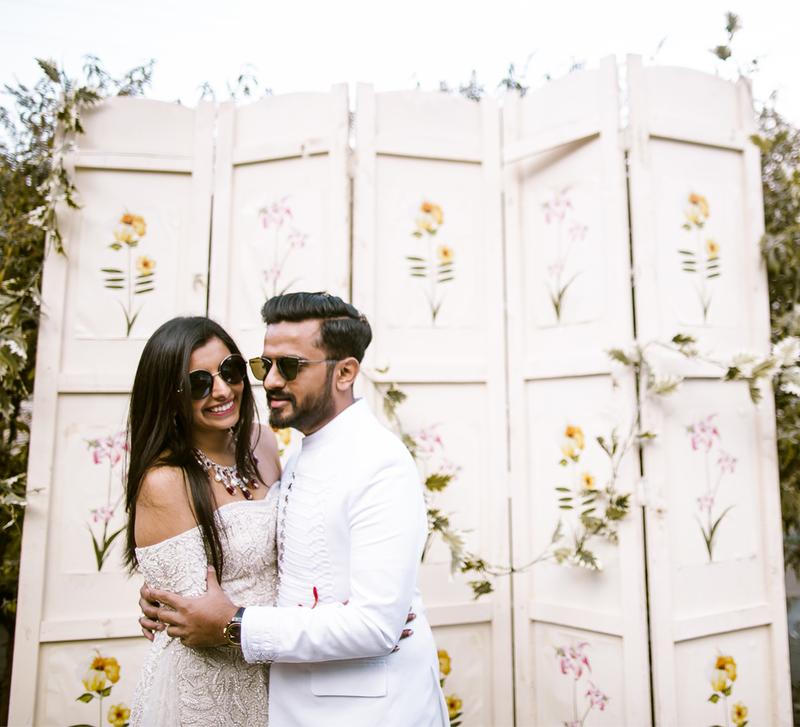 But when they finally tied the knot, their nuptials were a kaleidoscope of emotions, themes and color. Here are a few moments shared with us by the bride. “It’s funny how life is so unpredictable. You may know someone your entire life but consider him just an acquaintance. Then, one day, you find yourself dancing with him until the sun comes up at a wedding. Well, that is how our story began. 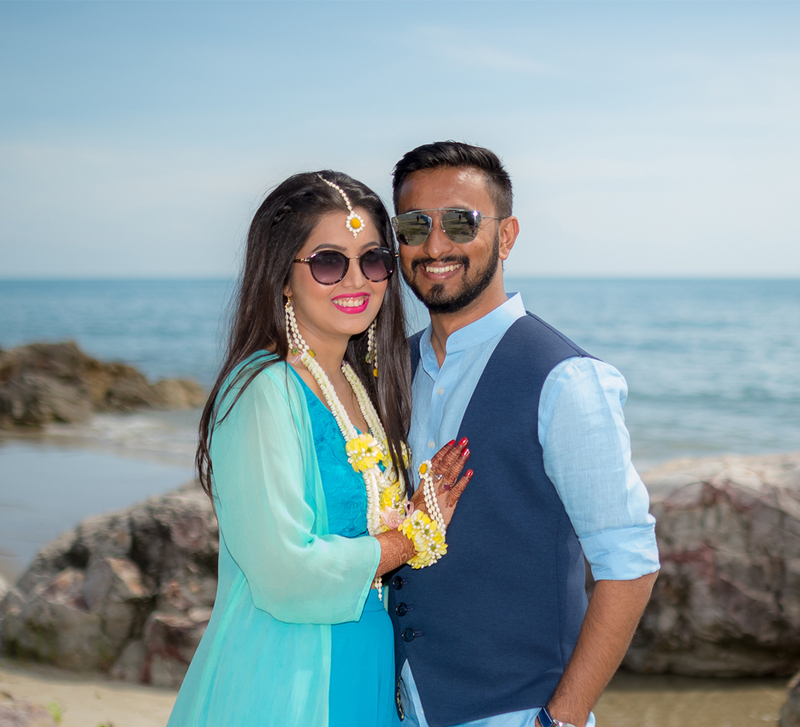 “We clubbed our engagement ceremony with the welcome dinner so our families could meet and socialize. Casco Antiguo earns its reputation of being ‘Old Panama’ and it was our venue for the evening. The theme was Cirque du Amour (Circus of Love) and using circus gazebo tents and umbrella centerpieces, the team did a fabulous job creating the perfect vibe. Guests were greeted and entertained by circus acts throughout the evening. I picked a red and black two-piece outfit from Shivan and Narresh and Kunal looked suave in his ensemble designed by Manish Malhotra. Groom’s Outfits: Prada (Civil Wedding), Manish Malhotra (Welcome Dinner and Engagement Ceremony), Shantanu & Nikhil (Sangeet), Troy Costa (Wedding Reception). 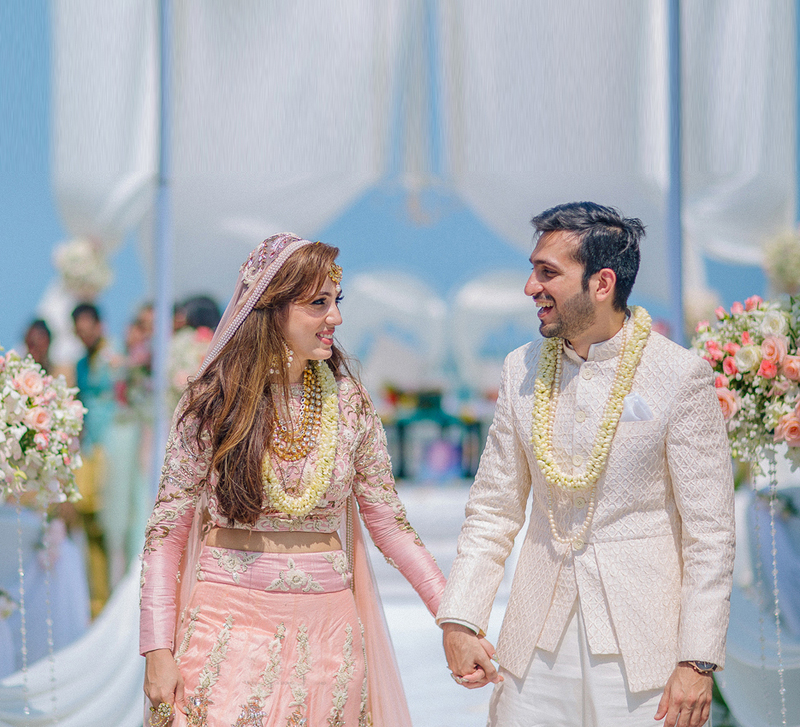 Bride’s Outfits: Monisha Jaising (Janya), Shivan and Narresh (Welcome Dinner), Sherri Hill (After Party), Varun Bahl (Mehndi), Jade by Monica and Karishma (Sangeet and Wedding), Manish Malhotra (Wedding Reception). Jewellery: Carolina Herrera (Janya), Le Rosh Boutique (Welcome Dinner), Diamantina (Mehndi), Minerali (Wedding), Diamantina (Wedding Reception).